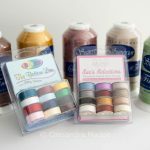 I have a confession to make…. I’ve been holding out on you all! I was trying to make as much of this quilt as possible before sharing it with my adoring public, however, once again I’m suffering from too many projects and too little time, so it has sadly stalled. A great time to share it with you, don’t you agree? It’s one of the worst kept secrets on social media that blue, specifically aqua and teal shades, are my favourite colours. Therefore, it’s not surprising that I decided to revamp the original design for the Quatro Colour Quilt by Sue Daley of Patchwork with Busy Fingers, and change the background in this quilt from shades of black/grey through to white, to an ombre starting with the deepest teal and moving through to white. 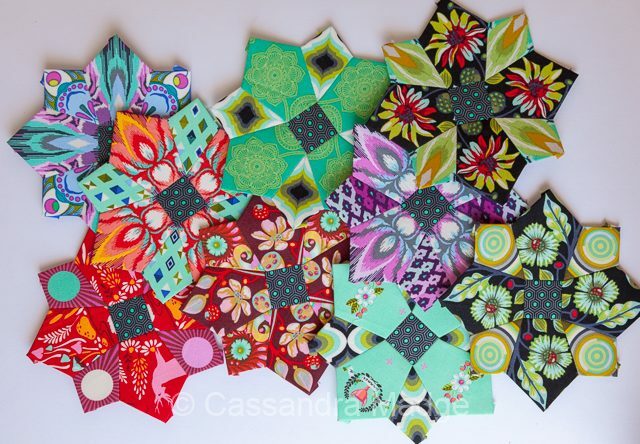 I decided also, that this was finally the English Paper Piecing project where I was going to unleash my fussy cutting onto my Tula Pink stash, otherwise, I may never use it. I have now created a lot of very expensive fabric swiss cheese, however the end result is definitely worth it. 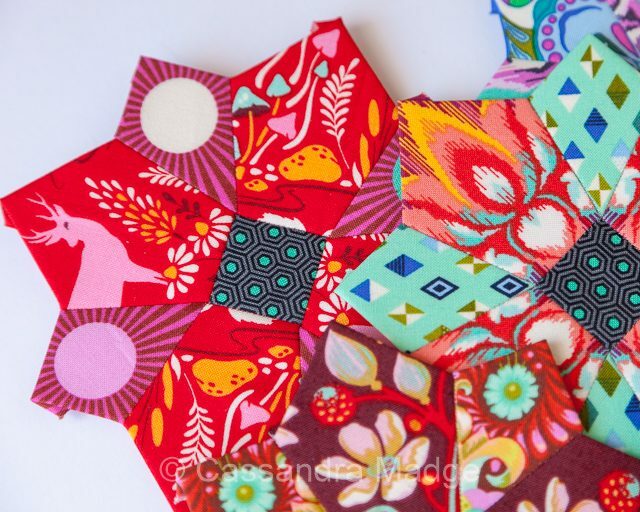 This quilt has given me hours of entertainment, finding patterns and creating entirely new looks out of the same fabrics, simply by changing where the fussy cutting “repeat” was taken from. Some of the designs certainly lend themselves better to this sort of project than others. 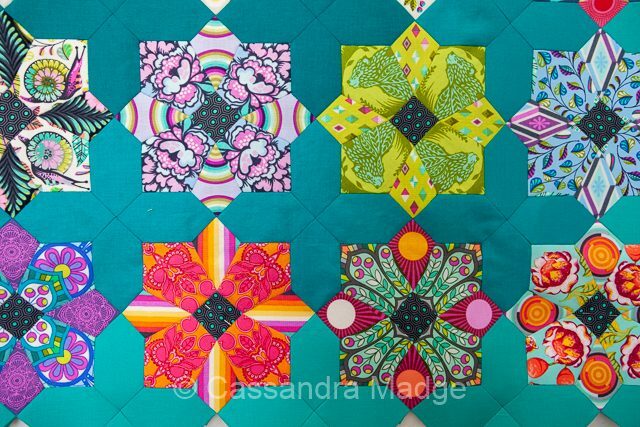 There are some of the prints where the motif’s are simply too big for the shapes, and others that seem to be designed just for this quilt pattern. One of my favourite things to do is spot all the extra secondary designs that are created by the shapes in these blocks. 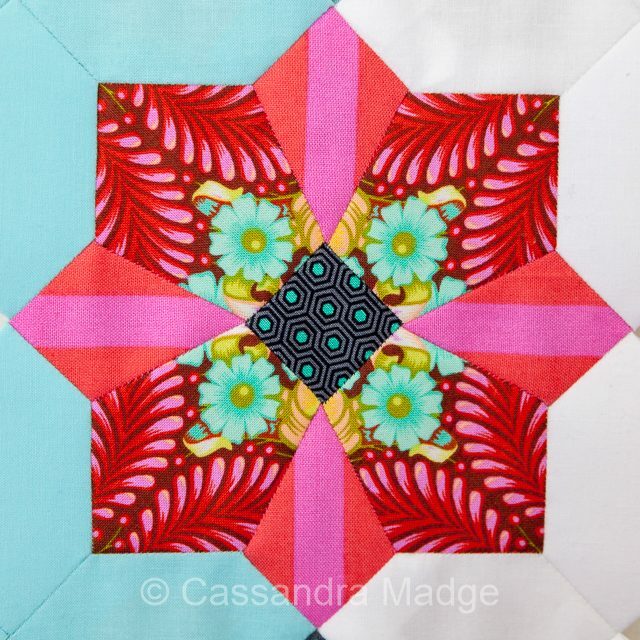 I especially love the overlapping squares created when your print has a feature bordering the inner square, or even as this block, the feathers that highlight the outer edge. 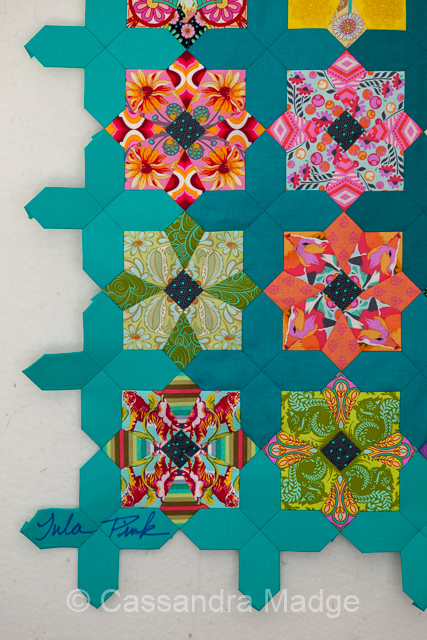 Of course, many will say that the best part of this quilt will be here, Tula’s signature on one of the solid border blocks. 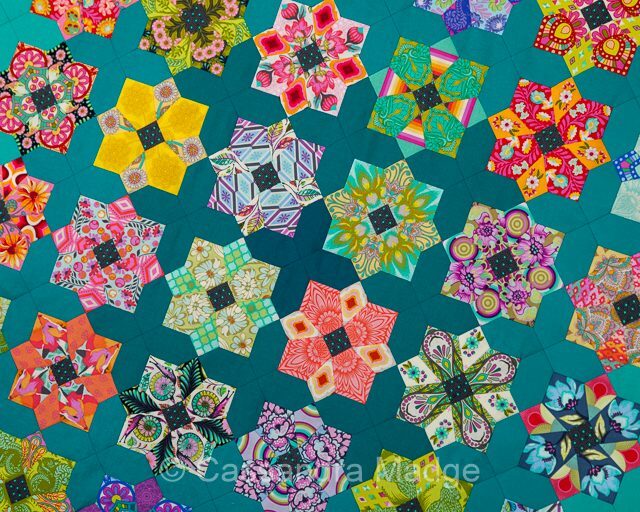 I took this quilt along to the Tula Pink trunk show at Hettie’s Patch in December, 2017. It was extremely gratifying to get some really glowing feedback from both Tula and her mother, they both enjoyed my fussy cutting and seeing all the different lines that I combined and the new ways I approached her prints. When finished, this will be approximately the middle border, so it will be featured prominently in the quilt. Ice Cream Soda EPP update! 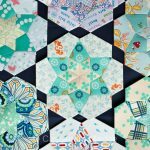 This is one of the most gorgeous quilts I have seen in a long time! I have never tried EPP before and really have no idea what it is. 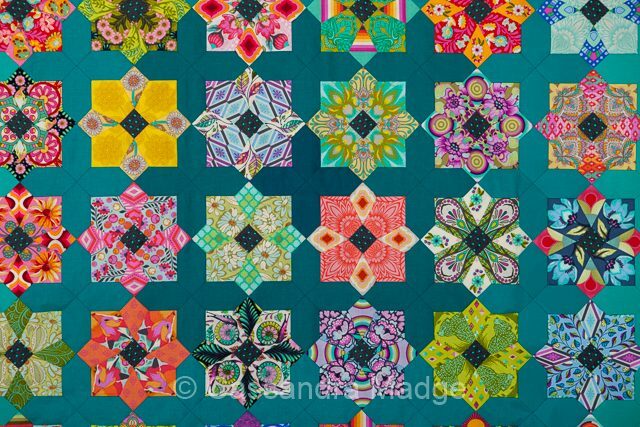 Could you direct me to some tutorials or videos that would give me an idea what it is and also could you let me know what things I would need to buy to make a quilt like you are making? I am dying to try it! Janice, thankyou so much for all your kind compliments!! I am glad to hear that I’ve inspired you to try something new. All my learning was from Sue Daley at Patchwork with Busy Fingers. 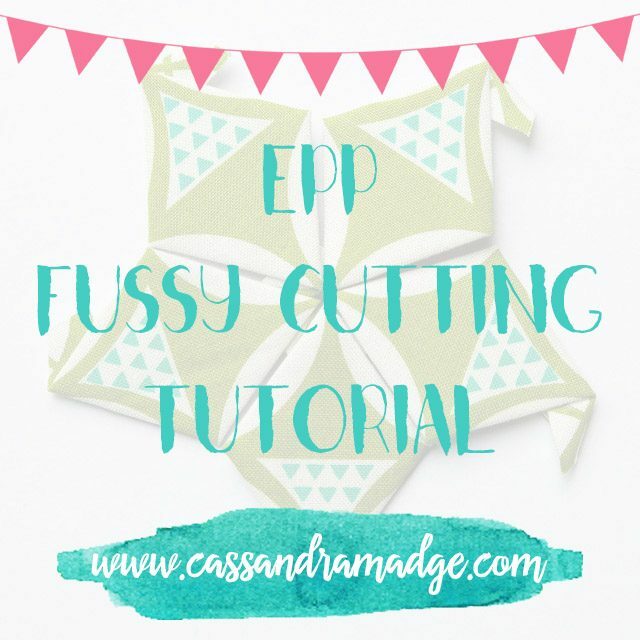 She has made numerous detailed YouTube videos showing how to baste, stitch and also work with the more complex EPP shapes. Here is the link to her videos, scroll all the way to the first one to start and then explore from there 🙂 https://www.youtube.com/user/SueDaleyDesigns/videos I hope that this helps, and please let me know how you are getting along with it! I am a Tula fan also. 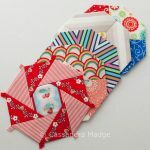 Your blocks are amazing! 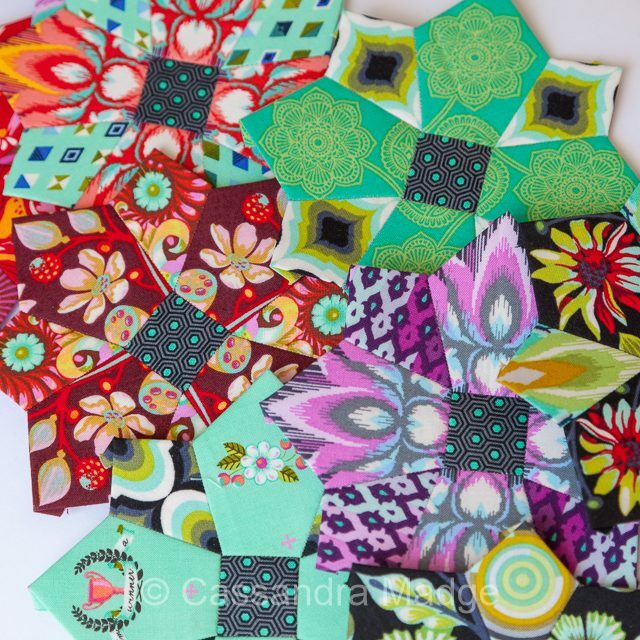 I have been working on this same quilt for over a month now in all of the fabrics I have from Tula. 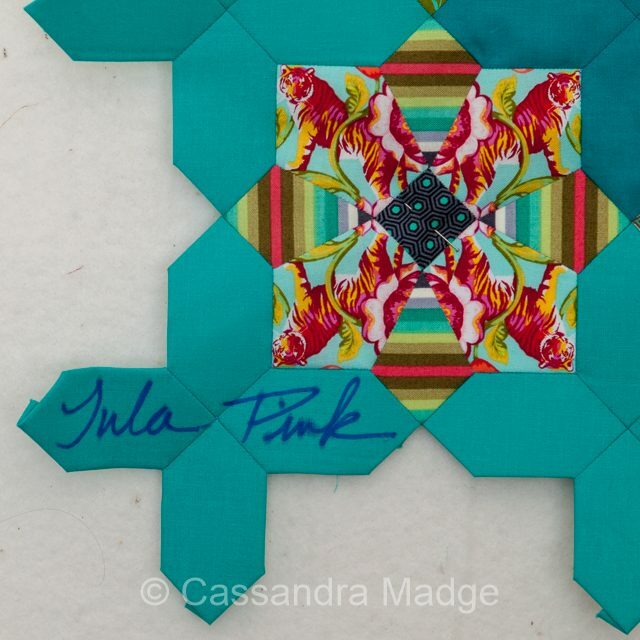 I also have the City Blocks quilt I made signed by Tula. You might consider embroidering over Tula’s signature so it will never disappear over the years.